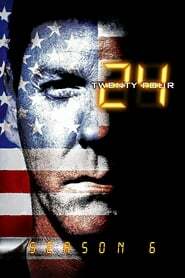 Season Six, also known as Day 6, of the television series 24 premiered in the United States on Sunday, January 14, 2007, the UK on January 21, 2007 and in Australia on January 30, 2007. The season’s storyline began and ended at 6:00 a.m. It is set 20 months after the events of the fifth season.